Original designer bridesmaids dresses at deep discounts! 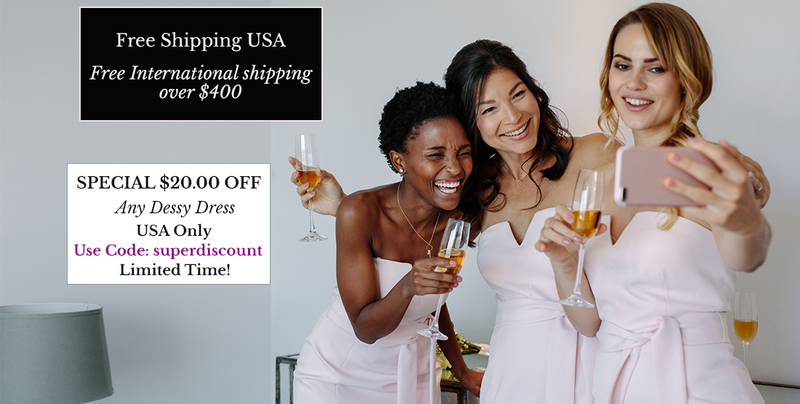 At Bridesmaids.com, you will find an amazing selection of bridesmaids dresses in hundreds of colors, luxurious fabrics and varied styles - with many affordable options that can keep any budget on track. Directly from Dessy, Bari Jay, Bill Levkoff, Watters & Watters, Mori Lee, Hayley Paige, as well as Lela Rose, After Six, and many top designers. We specialize in shipping throughout the United States, Australia, Canada, New Zealand, the UK and European Union. We have the Best Service,Quality and Prices on any Original Designer Bridesmaids Dresses.